Clients can be created in Practice Ignition in multiple ways. In this article, we'll go through how to create clients manually. If you wish to learn how to create clients in bulk, click here. Click on Clients on the left hand side of the page. 2. Click on New Client button on the upper right hand corner. 3. 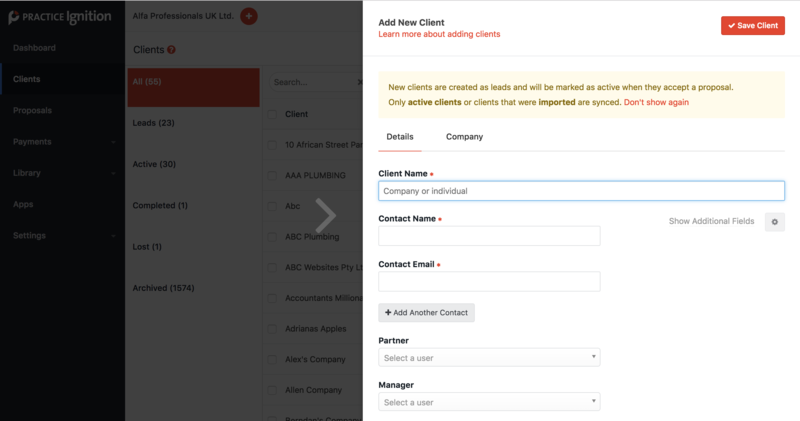 A panel will slide out from the right with fields where you can enter your client's information. 4. The Panel has two tabs. The Details and Company tab. There are 3 fields that are required to be filled out to get you going: Client's Name, Contact Name, and Contact Email. Fill these fields out, hit Save Client and you're all set! Note: There are a number of fields available for your client's details that you can take advantage of. Check out this article to learn more. 1. 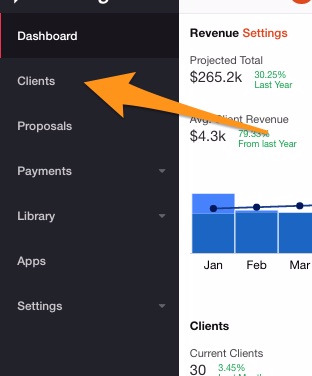 You can create clients on the fly while composing a proposal. On the proposal creation screen, click on the Search for a client field, and click on Create new client. 2. This opens the same right hand slider for you to enter your clients details shown above. 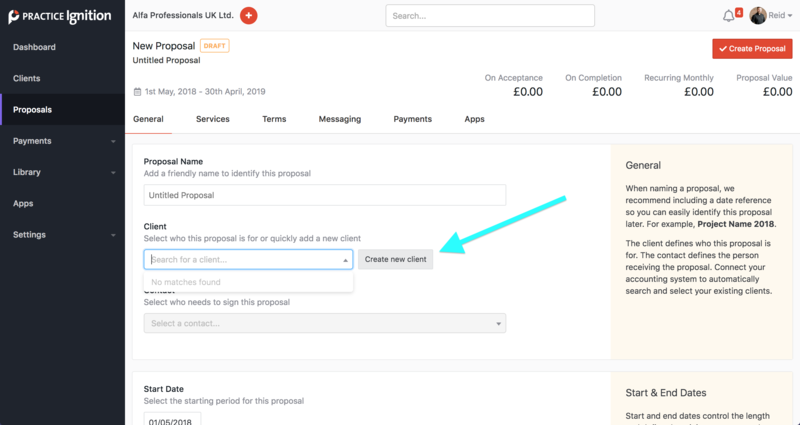 Once you have filled out the required fields and saved the client, it will return you to the proposal creation page with your newly created client already selected for the proposal.